With a passionate focus on high quality craftsmanship, innovation and cutting-edge technology, The Upper Deck Company revolutionized the trading card experience in 1989 and raised the standards of collectible cards to a new level. Packs from the company's first baseball set featured color photography, an anti-counterfeit hologram on every card and foil wrapping. The set was an instant hit with collectors. The huge popularity of Upper Deck's baseball cards led the company to become the first manufacturer to produce sets in other major sports including hockey (1990), basketball and football (1991). The company's meteoric success also paved the way for growth in other areas. In 1991, Upper Deck introduced its products to the global marketplace with the creation of Upper Deck International. 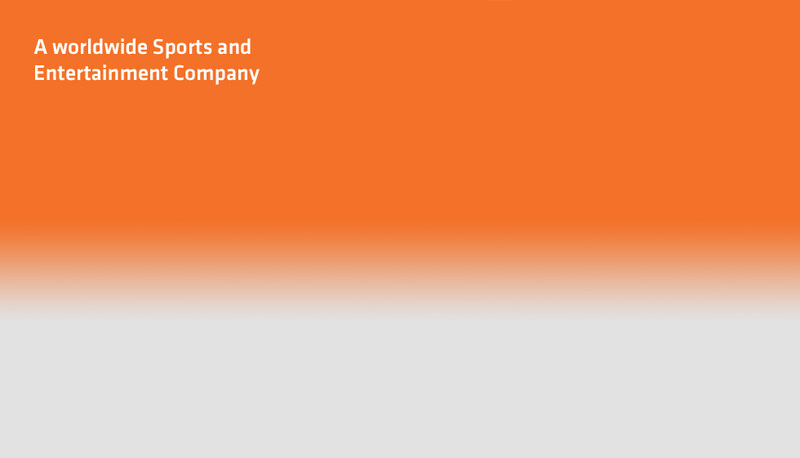 With an office in Amsterdam and distribution throughout Europe, Asia and India, the company markets and sells collectible products that are geared to local consumers. In 1992, Upper Deck launched Upper Deck Authenticated (UDA) and created the world's first patented autograph authentication process in the industry. 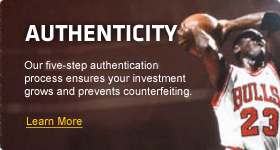 Sensitive to the fact that forgeries in the marketplace make it difficult for consumers to get authentic signatures of their favorite athletes, UDA built its reputation on a patented five-step process that guarantees fans are getting the real thing because company representatives witness every single autograph. This groundbreaking process is why some of the most prominent names in sports such as Michael Jordan, Tiger Woods and LeBron James have signed deals with the company. 1990 - Autographed Inserts Upper Deck is the first trading card company to put autographed insert cards into its product with its "Baseball Heroes" collection featuring Nolan Ryan and Reggie Jackson. 1996 - Game Jersey Cards With its 1996 Upper Deck Football set, the company debuts actual game-used jersey swatches embedded on the cards from featured players including Joe Montana, Brett Favre and Barry Sanders. 1998 - "Piece of History" Bat Cards The controversial-yet-hugely-popular Babe Ruth "Piece of History" bat cards - rare collectibles that feature actual pieces of a game-used bat swung by the Sultan of Swat. 1999 - PowerDeck The world’s first digital trading card is introduced with actual video footage of the featured player, along with music, photos, player profiles and statistics. 2000 - e-Card A regular trading card with an online virtual twin that has the potential to evolve right before collectors' eyes into a rare collectible. 2001 - WebPass An ordinary trading card with an invisible digital watermark that automatically launches the collector's browser and takes him to an exclusive website. 2001 - PenCam A high-tech writing device with a tiny video camera that captures footage of autographs as they are being signed. This innovation was the first to offer memorabilia collectors a visual record of a signature at the time it is being signed. 2008 - Yankee Stadium Legacy Collection Upper Deck releases the world's largest baseball set ever by producing a 6,742-card collection chronicling every single New York Yankee home game ever played at the old Yankee Stadium (1923 through 2008). 2008 - Presidential Predictor Cards Staying topical, the company produces caricature parody cards of each of the Democratic and Republican candidates who participated in the 2008 U.S. Presidential race. 2008 - Haircut-Signature Cards Getting collectors as close to their idols as possible, Upper Deck produces insert cards featuring actual strands of hair as well as cut signatures from deceased notables including George Washington, Abraham Lincoln and Babe Ruth. 2009 - Entomology Cards Inside its Goodwin Champs set, Upper Deck debuts unique, regular and oversized cards containing actual insects/bugs. Over the years, Upper Deck has evolved from a trading card manufacturer to a worldwide sports and entertainment company. Today the company is still dedicated to its original mission: to create products that capture the excitement of sports and makes them a collectible experience for fans.